Sparkles on stage! 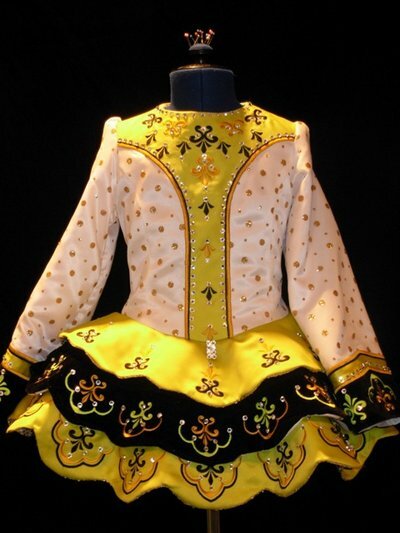 Only 7 months old, this dress was created by Kerry Houston TCRG of Draiocht Designs. 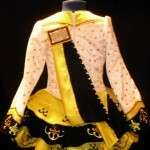 This cute little white, gold and citrus lime/yellow dress would be ideal for an 8-9 year old. The fabrics are white satin with gold glitter overlay, citrus satin and glitter dot sequin lining. There is also a white tulle tutu attached to the lining. The dress has ties inside the back of the dress for any adjustments needed in the waist. 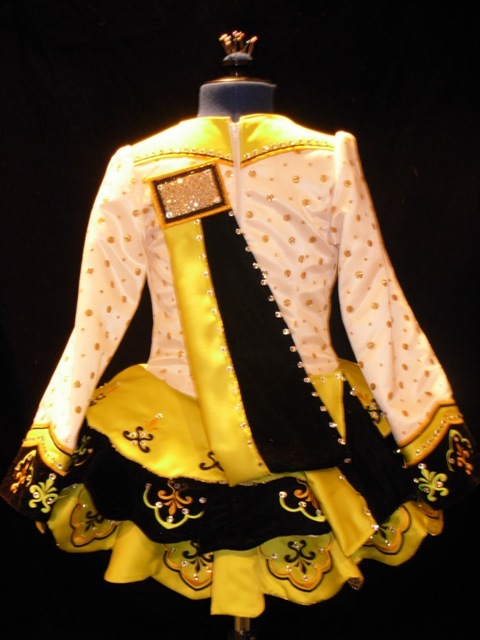 This little dress is adorned with hundreds of Swarovski crystals and truly sparkles on stage! The dress has ties inside the back of the dress for any adjustments needed in the waist. Asking Price: $US750. Shipping costs not included. Sale is final.